A perfect gift for that special someone with everything. 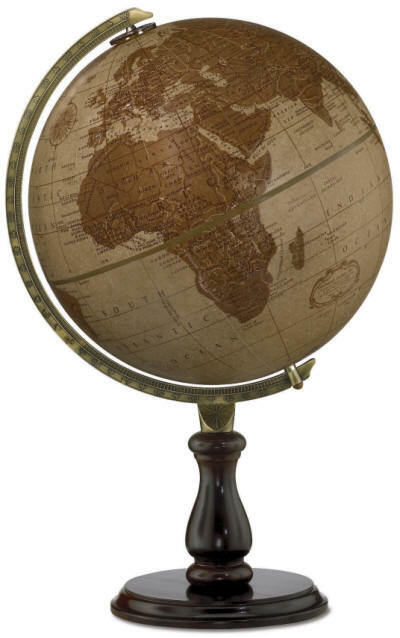 This exclusive desktop accessory offers a genuine leather 12" diameter globe with an antique brass-plated die-cast metal semi-meridian mounted on an elegantly crafted hardwood base and riser with dark walnut finish. Extraordinary can only begin to describe this perfect gift.